On 4 October 2017, the EOS General Assembly was held in the framework of the International Softwood conference (2017 ISC) in the city of Hamburg. On this occasion, the EOS Members unanimously elected Mr Jean-Claude Sève, Honorary Board Member after he has been an active EOS Board Member since 1989. (In the picture, Mr Sève is announced EOS Honorary Board Member by the EOS President, Mr Auvinen, on occasion of the 2017 ISC). EOS Members lively discussed the aspects related to the Proposal for a Regulation of the European Parliament and of the Council on the inclusion of greenhouse gas emissions and removals from land use, land use change and forestry into the 2030 climate and energy framework. The EU Parliament’s recognition of harvested wood products as a beneficial material for the environment was welcomed by the EOS general Assembly. It is of utmost importance that the amendment adopted by the Parliament “HWPs can substantially limit emissions by the substitution effect (considering the energy and CO2 intensity of other sectors, e.g. cement production accounts for roughly 8% of global CO2 emissions), and enhance removals of greenhouse gases from the atmosphere. The accounting rules should ensure that Member States accurately reflect in accounts the changes in the harvested wood products pool when they take place, in order to recognise and incentivise the enhanced use of HWPs with long life cycles rather than the use of harvested wood products for energy purposes” will remain in the final text of the legislation that will be discussed in the following weeks during the interinstitutional negotiations. Moreover, the EOS Members emphasized once more that forest reference levels should be aligned with continuation of sustainable forest management as defined and commonly agreed by European countries and the European Union within the Forest Europe process. Looking at the market, the EOS Members underlined the negative economic impact (-90% in Q2 2017 vs Q1 2017) caused by the licence system introduced in April 2017 by the Algerian Government for all wood products covered in the HS code from 4407 to 4412. They called for a lift of the system and if this is not possible in the short-term they hope to have more clarity and a swift allocation of the licenses. The outcome of the Economic Partnership Agreement with Japan was considered positive thanks to the progressive phasing-out of tariffs over a 7 year-period. Discussing the revision of the renewable energy Directive and the correlated sustainability criteria for solid biomass, the Members emphasised that the production of bio-energy is definitely an integrated part of the sawmill business although regional differences entail specific considerations depending on the Country. 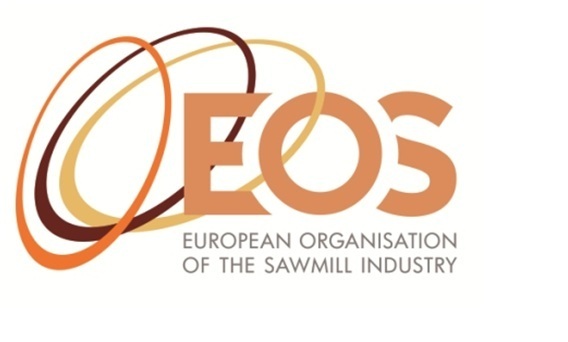 A buoyant market raises medium-term questions in terms of raw material availability, which is one of the reasons why the EOS Secretariat will actively participate in a conference on the SIMWOOD project dedicated to wood mobilisation, that will be organised in Paris on 12 and 13 October. Reaching the small forest owners results as essential aspect on wood mobilisation. The next EOS General Assembly will be held on 15 June 2018, in the city of Oslo and hosted by the EOS member Treindustrien.